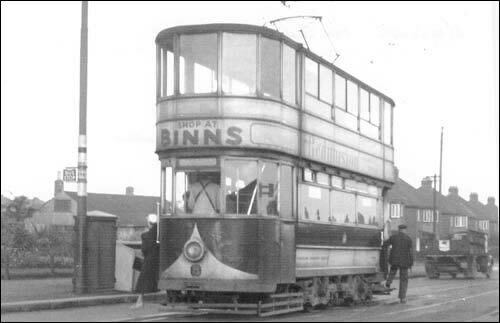 A superb photograph of passengers alighting from a tram on Dene Lane in Fulwell, Sunderland. The tram made one more stop after this and then turned right into Dykelands Road. Taken on 24th September 1954. Sent in by © Allan Edwards.